The Marmalade Cat Cafe is an independent cafe located in Kelowna’s South Pandosy neighbourhood. The area is seeing intense redevelopment and a number of new coffee shops are springing up. Looking to keep their position as “top cat” in the neighbourhood, Marmalade Cat enlisted Brandnetic to update their look with a new identity, updated packaging and refreshed graphics throughout. Brandnetic Studios didn’t just design a new look, they designed an experience. When visiting a coffee shop, atmosphere was the number one priority for patrons. They needed to feel comfort and familiarity in the brand and cafe experience to feel at home in the Marmalade Cat Cafe. Rather than create a new brand for the cafe, we took all the elements of comfort from the current brand and incorporated them into a familiar look with a new twist. 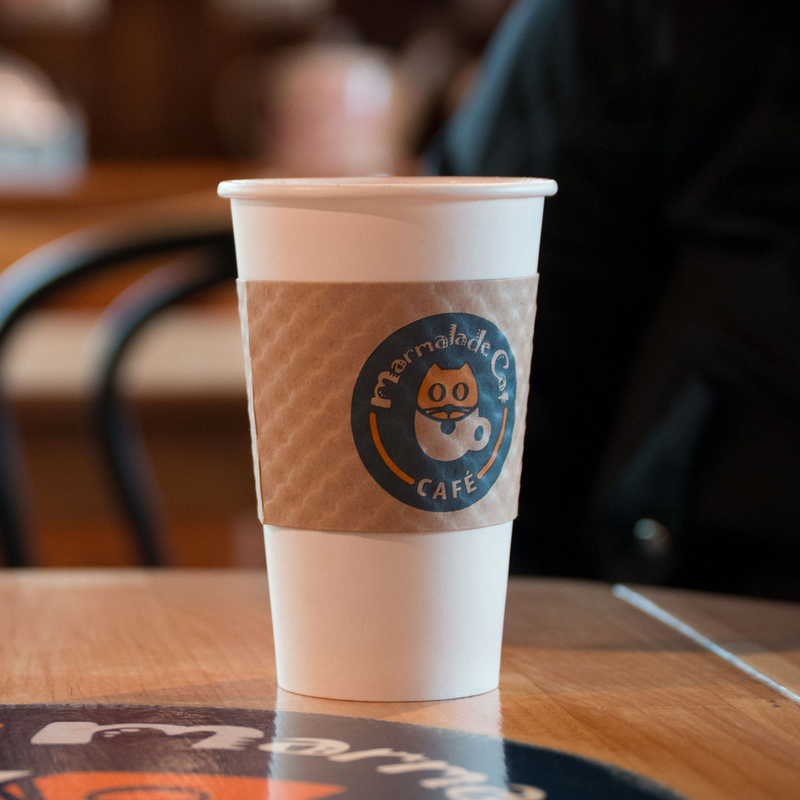 The look is distinctive to the Marmalade Cat Cafe, instantly recognizable, and you’ll find very few people who don’t know about this local gem!